The second edition of McKleinÃ†s new yearbook is a spectacular visual account of the 2018 WRC season. The best images from McKlein illustrate the action and emotion from every round, whilst creative texts from Anthony Peacock summarise the drama as it unfolded. 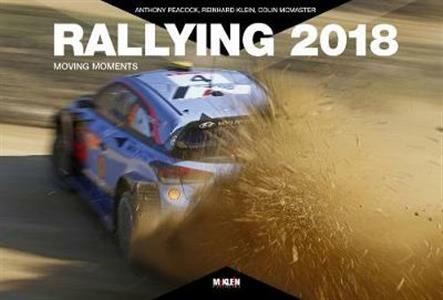 The Ã¦Moving MomentsÃ† and background features provide thought provoking vignettes from within WRC, past present and even future, insights that highlight rallyingÃ†s unique and fascinating character.